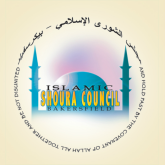 The Imams at Alfarooq Islamic Center and the ICSJV are qualified and authorized to conduct limited counseling regarding marriage, adolesence, family dynamics, and a wide variety of other issues. The Imams perform counseling by appointment only. Arrangements may be made for private consultations which will remain completely confidential. Please contact either Imam in order to discuss your specific situation and to make arrangements that are appropriate for your circumstances. The Imams may be contacted using the information provided in the "About Us" section of this website listed at the top of this page. You may also email us at inquiry@iscob.org and we will, God willing, put you in touch with one of the Imams. Neither Mosque charges a fee for counseling. However, a donation in an amount that reflects the effort expended by the Imam is respectfully encouraged in order to help the Mosques be able to continue to provide this service.